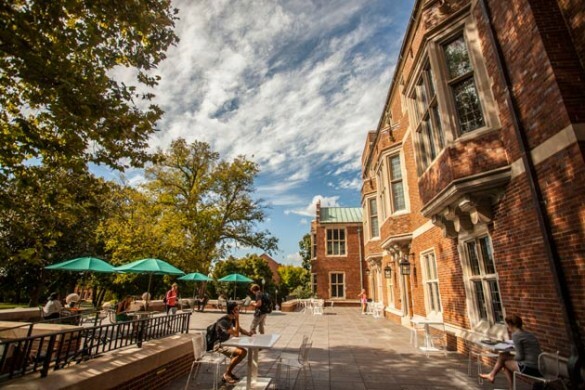 In addition, Vanderbilt’s Graduate School has relocated from Kirkland Hall to its new home in Alumni Hall. The move, first announced by Wente in August 2015, is designed to increase the Graduate School’s visibility on campus and to make its resources more accessible to students. The GESG, chaired by Victoria Greene, Stevenson Professor of Physics, met over the course of late 2014 and early 2015 in an effort to assemble a comprehensive view of graduate education at Vanderbilt. The Executive Summary of the GESG report was released in May 2015. Then, based on extensive input gathered from students and faculty at a series of forums during fall 2015, revisions were made and the final report generated. As the Graduate School’s new dean, Wallace is charged with elevating and promoting Vanderbilt’s position in doctoral education based on the GESG’s recommendations. “I will be using this document as a guide for enhancements we can make within the Graduate School and within our various graduate programs, and I welcome your continued feedback as we work together to promote excellence in graduate education,” he said. In addition to the Graduate School, Alumni Hall is home to the Vanderbilt Institute for Digital Learning, the historic Joe C. Davis Memorial Hall, classroom space and the Bamboo Bistro dining venue.